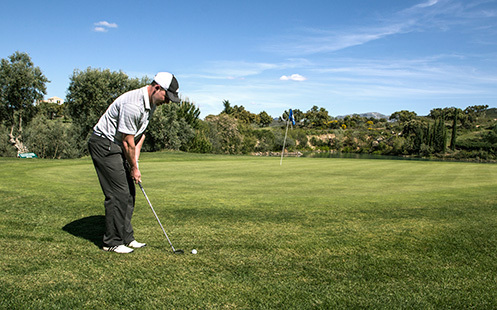 Antequera Golf Course will win you over. More than simply playing a round of golf, at our golf course you will truly live the complete golf-playing experience. It is an 18 hole golf course, Par-72, covering a total surface area of 50 hectares. Designed in 2003 by the Ryder Cup player José Mª Cañizares, it is known for being a demanding golf course with a slope rating of 145. Different and unique, at Antequera Golf each hole tests the skill, precision and experience of the players. Come and play, and live the experience first-hand. Our golf course is in a privileged location at the base of the Natural Park El Torcal (awarded UNESCO National Heritage status in 2016). It is ideally situated for visiting all of the Andalucian provinces, Antequera Golf being only 30 minutes from Malaga and the Costa del Sol, an hour away from Cordoba and Granada and an hour and a half from Seville. 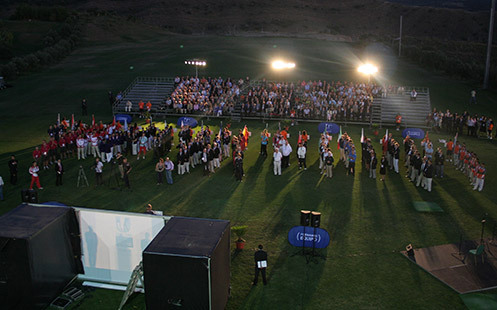 Enjoy a game on an ecological golf course. Our players form part of the natural environment and can get to know an area that evolves constantly throughout the seasons of the year. Whilst playing the course, players will have around them sixteen lakes, aromatic plants natural to the region such as thyme, rosemary, and lavender, as well as olive trees, oaks, shrubs and protected plant species like hawthorn. Animal species such as wild ducks, hares and partridges can also be found. Conservation and looking after this natural environment is something that is important to us. 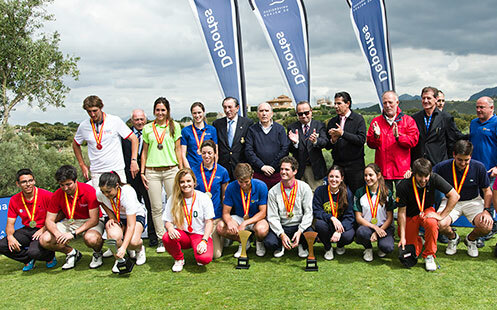 Antequera Golf has hosted a number of important golfing events and championships. 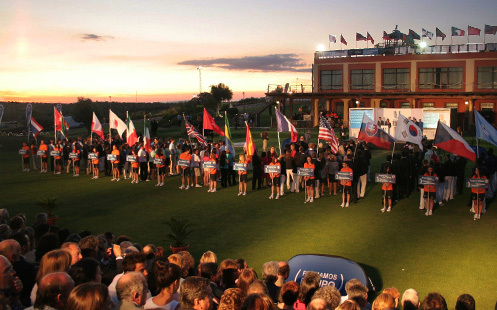 As from five years ago it is the chosen location of The Home Nations Championship; the World Competition of University Golf and the various university classifying competitions on a national level. In addition to this, Antequera Golf Course’s spectacular design and marvellous views have impressed media outlets in the golfing community such as Sky TV, The Birmingham Mail, Golf Societies, Chips and Wedges, Midlands Golf, Golf Society News and Golfing Wales.